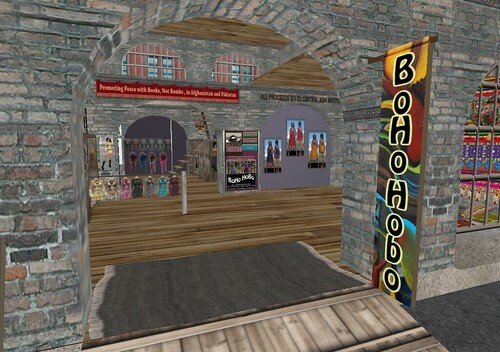 Another wonderful sponsor's donation vendor that is already up and running is the Vendor of BoHo HoBo Couture. 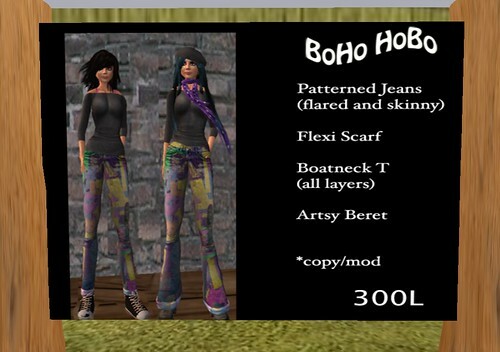 Trill Zapatero, who is the owner and designer of BoHo, has made a nice colourful jeans set with top and scarf. 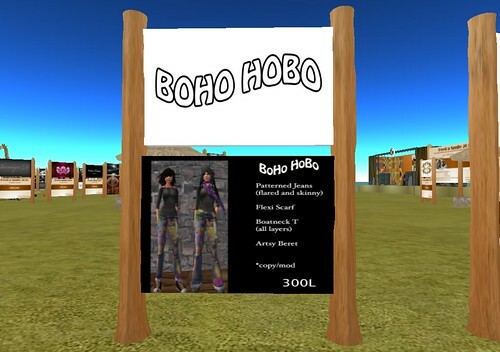 The texture of the pants seems to be inspired by her paintings as Trill is an artist. You can see a few of her acrylic and collage paintings on her Flickr page. Trill’s shop is not a shop as such, as she is not making any profit of her sales, all proceeds are going to the Central Asia Institute. I am sure her nice set will generate a lot of meals. We also endeavour to show some her of paintings at the venue. Thanks for this lovely and kind donation Trill.